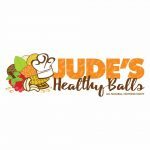 Are you looking for a structured kids party that engages and keeps all of the children entertained? 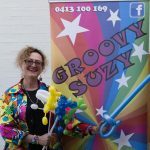 Bop till you Drop have been doing kids parties for over 15 years. Over this time we have developed the perfect party to suit the age, gender and number of children present at your party. Choose from our famous Disco & Karaoke Parties or try one of our Science Parties, Slime Parties, Sports Parties and Craft Parties. Our events can cater for small birthday parties to large school discos with over 300 children. We also run School Holiday Programs packed with singing, dancing, drama, cooking, science and craft activities. Welcome to the home of Fairy La La and friends. La La is a professional entertainer that will ensure your kids party will wow your crowds. La la will plan you party entertainment? La La will give you more time to relax on the day! La La will give the kids the time of their lives and you wont have to do a thing! …..Our mission is to give you more time so you can enjoy your loved ones. We give you piece of mind to enjoy the party too and mingle amongst your friends. 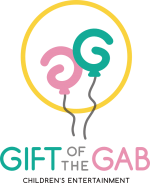 Gift of the Gab Children’s Entertainment has been bringing excitement to kid’s parties since 2007. Run by Gabriella, proud mummy and Early Childhood/ Primary School Teacher our exciting packages include face painting, balloon twisting, magic shows, tattoos, games, prizes, bubbles, puppet shows and parachute games + more! Our menu is extensive and designed to cater for all people. Our breakfast is served all day, so you can grab your favourite dish at any time. Popular dishes include the eggs benedict with our homemade hollandaise, the Mediterranean breakfast inspired from the flavours of Greece or our big breakfast, which guarantees you won’t leave hungry. 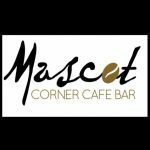 Lunch can be ordered at any time and has a wide range of burgers/wraps and plates to cater for everyone’s needs. The chicken haloumi wrap is extremely popular and if you looking for a massive meal, you can’t go past the MCC Club. Come down and say hello, try our food and new coffee and we can guarantee you won’t leave disappointed. Hope to see you soon!